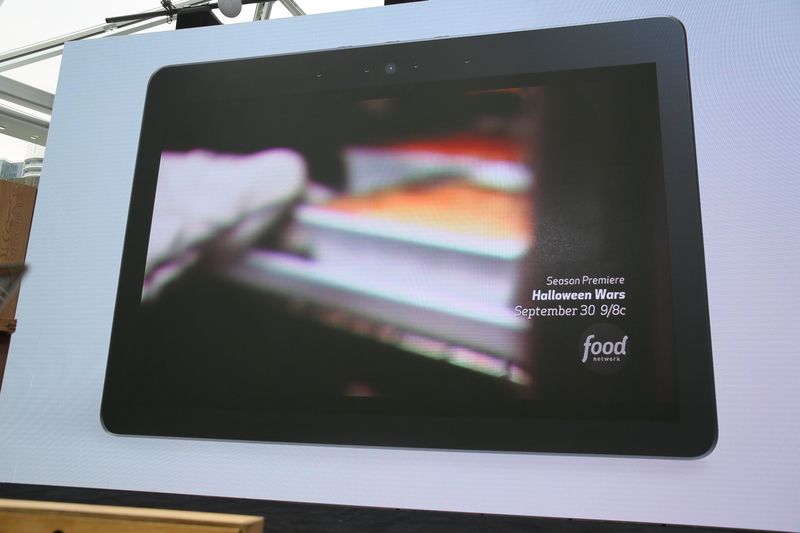 10-inch HD display, 2X display area from original Echo Show. 8 mic array, "it's the most advanced mic array we know how to build. Same price, $230. Preorders today, ship next month. 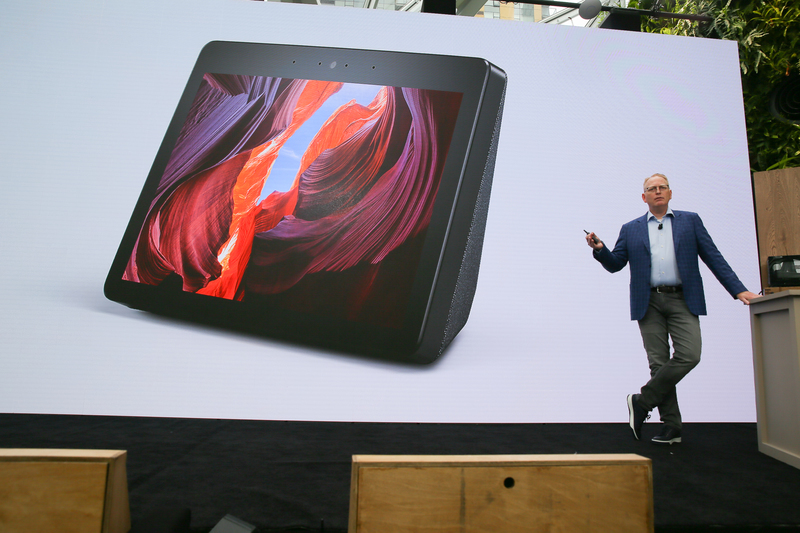 Smart displays proving pretty popular this year, and the first-gen Echo Show risked getting overshadowed and left behind with its smaller screen and uglier design. The second-gen model will be much more competitive -- but is the user interface any better? And what will it cost? Was expecting this one, Echo Show was on sale on Amazon.com for a few weeks. Ah, same price. $230. That can compete. 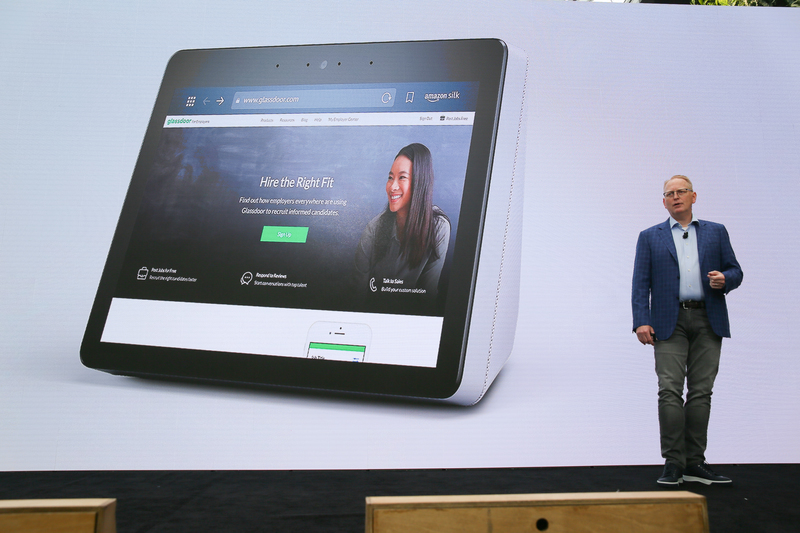 Amazon's buddy buddy relationship with Microsoft continuing to pay off with Skype support on the Echo Show. 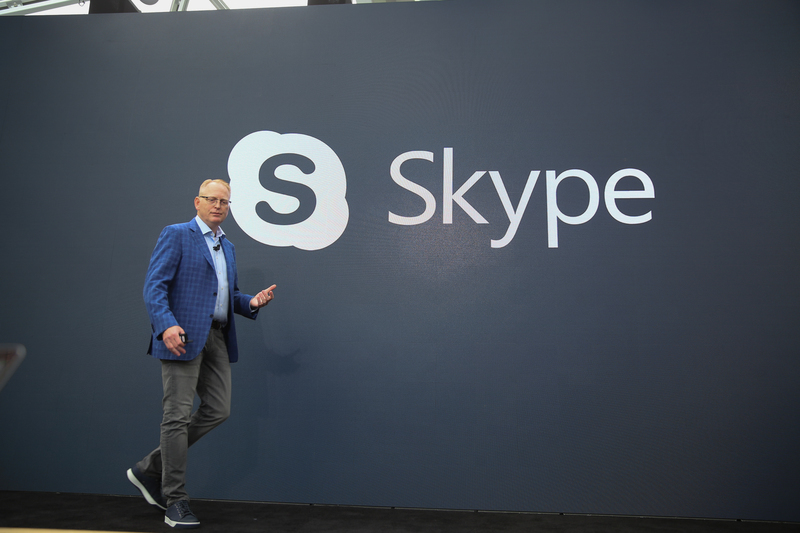 Skype first partner to integrate with Alexa for voice calls. Adding Silk and Firefox browsers to Show too. BTW, may use those browsers to bring YouTube back to Show. Showing off some new graphical improvements for the Echo Show user interface, and I swear Limp is looking right at me as he talks about them. Spat with Google means no YouTube on the Show and Echo Spot right now. Great call Ben -- Firefox and Silk are the two options for watching YouTube on Fire TV streamers, and they work fine. 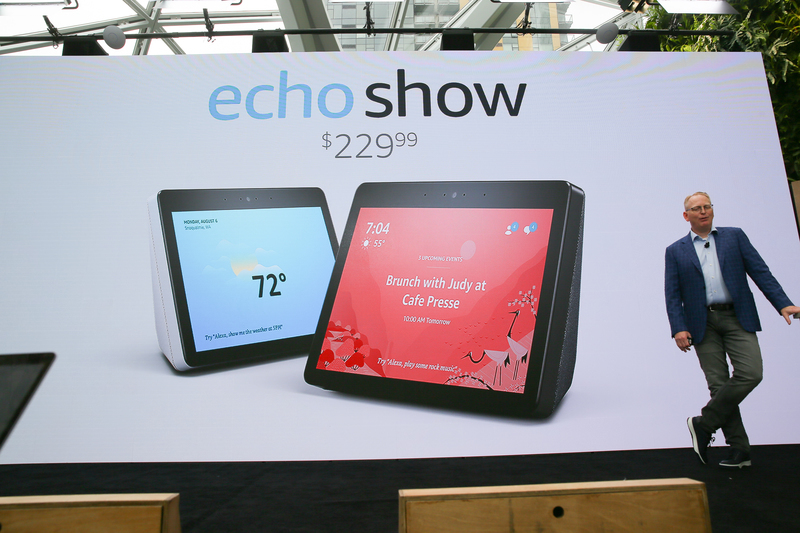 Smart move to bring them to the Echo Show, too. 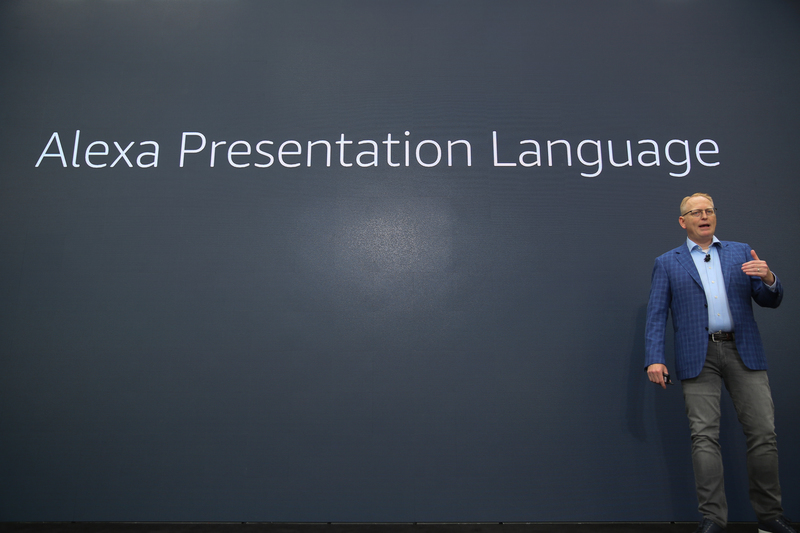 New "Alexa Presentation" software will let third-party skill makers use an HTML framework to bring their own visual interfaces to the Echo Show. Is there anything else left to announce? A new Echo? Demo of new Echo Show right now. Talking Blueprints now. 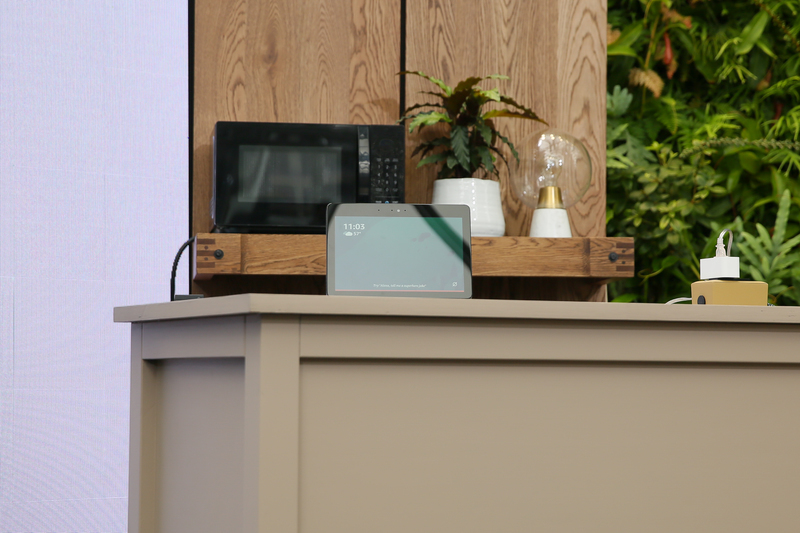 Showing a custom made "birthday card" from the kids to Mom that scrolls through family photos on the Echo Show and plays audio of the kids saying happy birthday. "Alexa, show me something interesting." Goes to a live cam from Budapest. "Show me another interesting place." Shows a live cam from a beach at Ft. Lauderdale. Integration with Amazon Meal Kits. 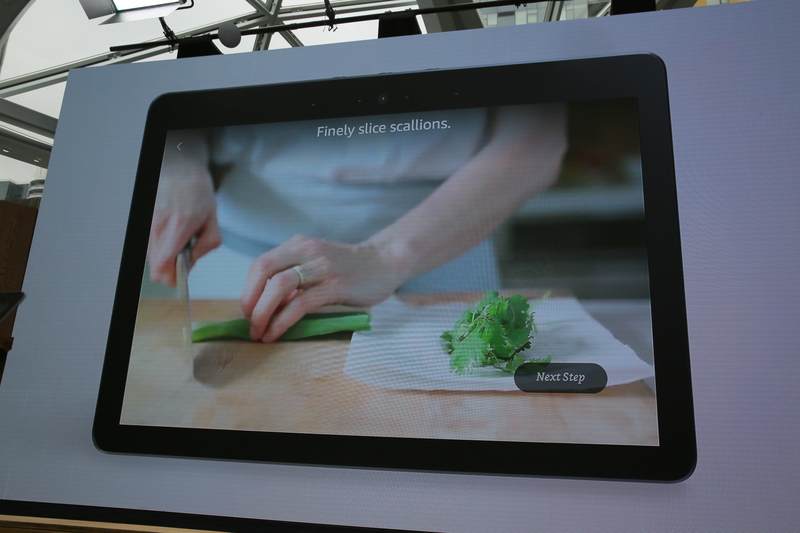 Walk through the recipe on the Echo Show as you cook. 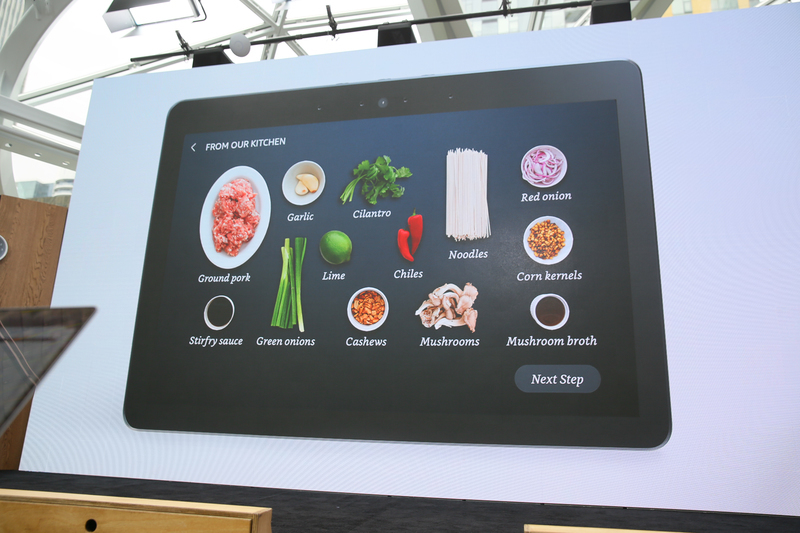 Cooking features like this were a standout on the Google smart displays, really excited to see how Amazon's efforts here compare. Worked with partners to integrate Hulu. Showing Food Network, Fox Sports. 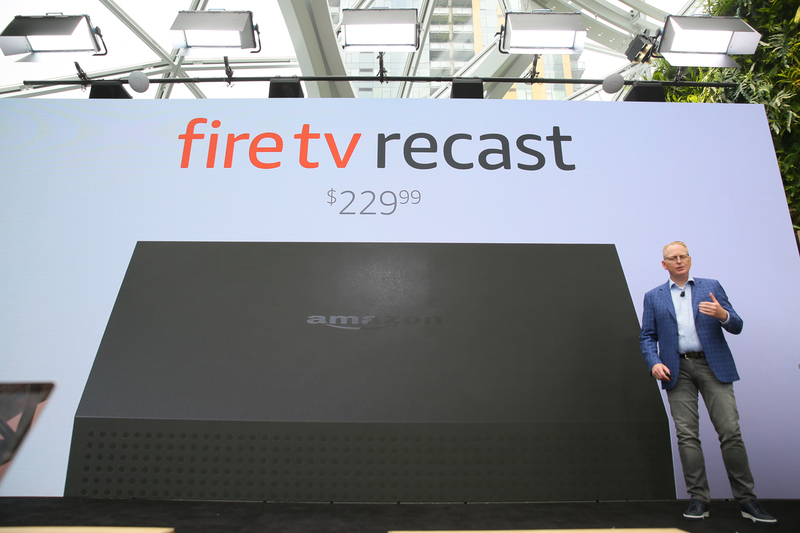 Integrated Echo Show into Fire TV Recast, first time offering DVR to customers. 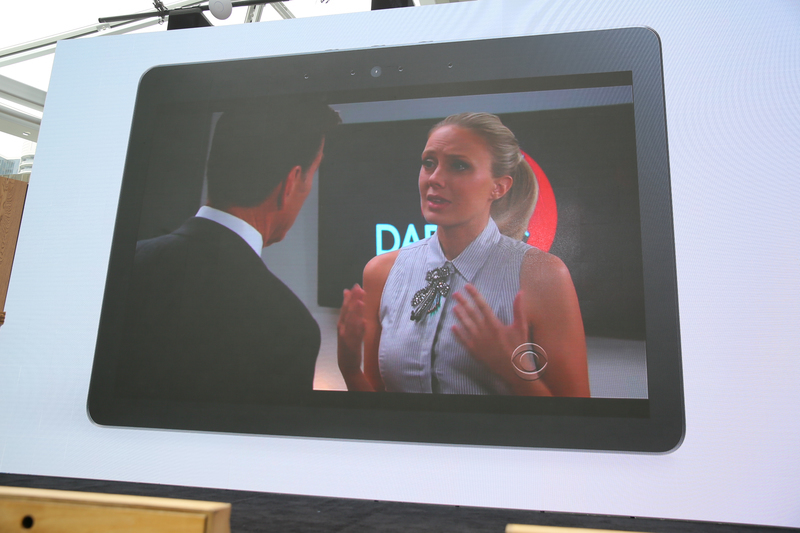 Echo Show as an all-in-one, voice-activated smart TV. 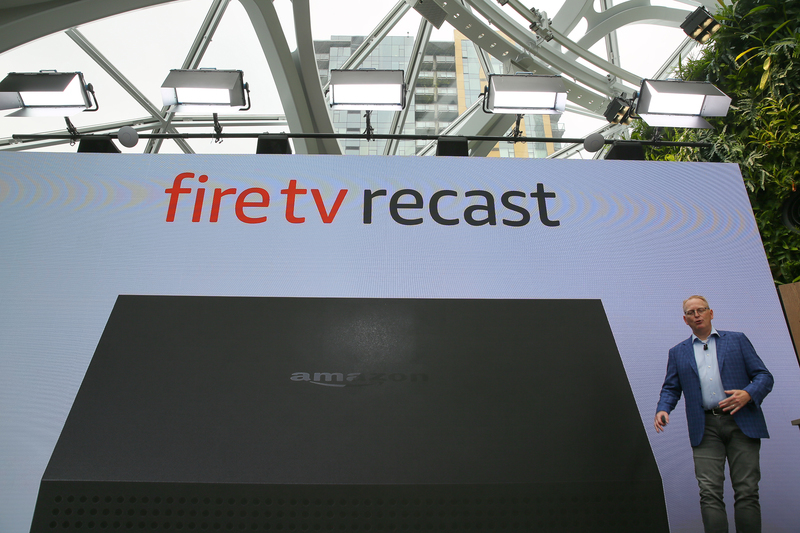 Integrates with something new called Fire TV Recast that sends live TV to your Echo Show as recordings. Record 2-4 shows at a time, stream to multiple devices. 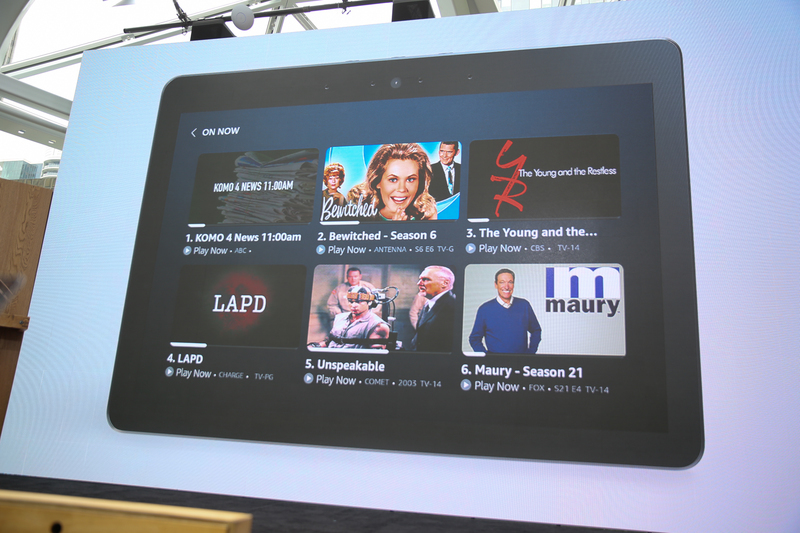 Put Fire TV Recast anywhere in your house and connect it to an antenna, and it'll beam those shows and networks throughout your home via Fire TV. That's a pretty strong pitch. A feature in the app will even help you find the best spot to put your antenna for the strongest signal. Can add Echo Show like functionality to "anything with a display." 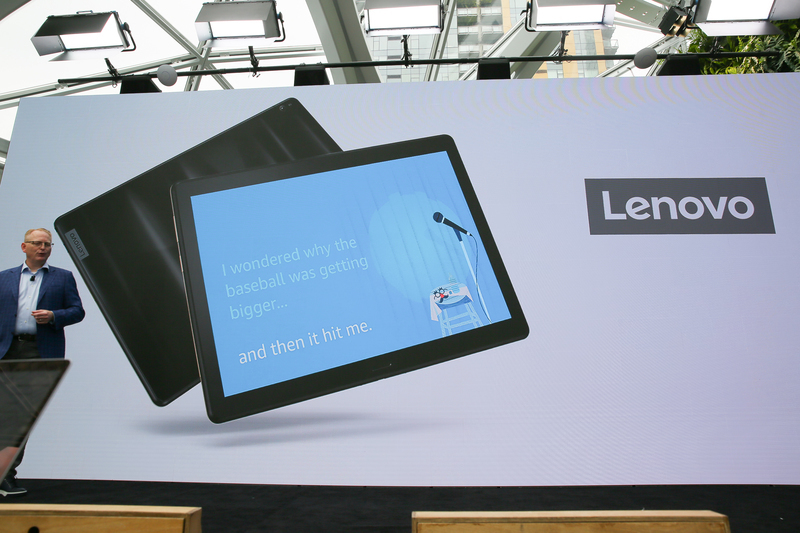 "Lenovo is bringing Alexa to their tablets." 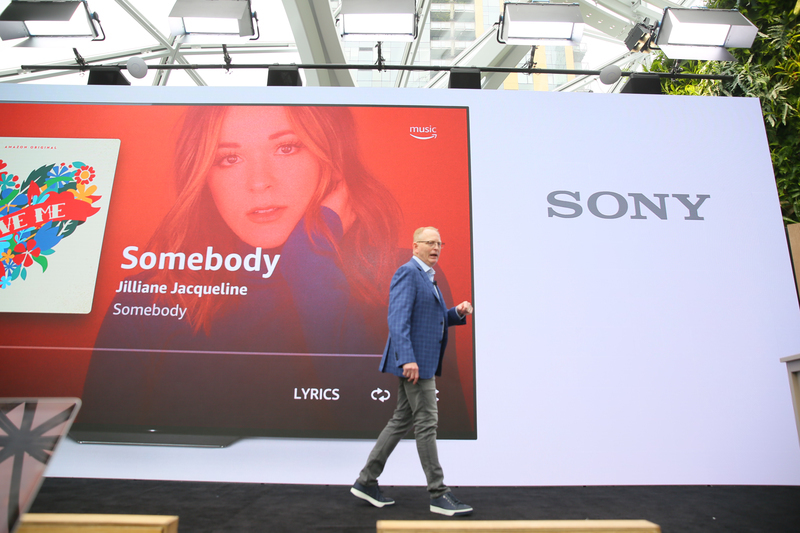 Sony also using the SDK to integrate Alexa onto their smart televisions. Last area today: Alexa on the go. Here comes a car gadget. Talking about work with cars.